The spotlight often focuses on oregano essential oil as an excellent herbal remedy. And with autumn in the breeze, winter soon to follow, and many of our kids back to school, virus season is just around the corner. However, many of us — armed with an arsenal of anti-viral herbs, essential oils, and immune boosters — are prepared to keep our families well. Prevention is the best route to wellness. Care is advised with all herbs and natural remedies. However, oregano is one of the more potent. Oregano — which literally means “joy of the mountain” — dates back to the Greek and Romans. It is anti-fungal, antibacterial, anti-parasitic, antiviral, and an antioxidant. This article details how to choose and then use this product wisely. What is the difference between oil of oregano and oregano essential oil? Oil of oregano has already been diluted in a carrier oil. Oregano essential oil — or just simply oregano oil — can be diluted in a carrier oil or with water in a diffuser and then used for aromatherapy treatments. It's difficult to determine the strength, quality, and ratio of oregano essential oil in much of the “oil of oregano” sold today. So I recommend buying high quality oregano essential oil and diluting it yourself. Or, use a product recommended by a trusted practitioner. We recommend this oregano essential oil. There are over 40 species of oregano, and only 2 effective for healing: Origanum vulgare or Thymus capitatus. Make sure your product is sourced from one of these 2 varieties! Both flowers and leaves are distilled to create the oil. 2 main compounds within oregano determine its effectiveness. Carvacrol is responsible for the oil’s potency as an antibacterial agent. Thymol is the anti-fungal component. This phytochemical even helps to boost the immune system while shielding the body and promoting healing. Oregano fights infections of fungi and yeasts (such as candida) — as well as colitis, cancer, inflammation, asthma and respiratory infections, and allergies. It also balances hormones. This can ease the process of menopause or help regulate menstrual periods. Use it topically for toenail fungus or to remove warts and moles. A 1:1 ratio of oregano oil to carrier oil is recommended for these purposes, applied with a cotton swab. Oregano oil is not ideal for open wounds. However, it is excellent at fighting off the flu virus, colds, and even E. coli (from food poisoning). To reduce the duration of a cold, or prevent its onset when the first symptoms arise, use oregano essential oil in a steam tent. Inhaling the steam will kill the cold virus germs. An outdoor diffuser with oregano essential oil inhibits pests. Combine it with a carrier oil to reduce itching from bug bites and rashes. It helps to heal cold sores, canker sores, toothaches, and sore throats (diluted in water). It can also be used to treat both giardia and MRSA. For what is oregano oil NOT advisable? Infants and young children shouldn't use oregano oil — and neither should pregnant or nursing mamas. Oregano oil can encourage blood circulation, which can increase the likelihood of menstruation or deteriorate the lining of the womb. This increased risk of bleeding should also put others on the alert. Those about to have surgery should stop their dosage 2 weeks before the scheduled procedure, and those with bleeding disorders might be at increased risk. It may also lower blood sugar levels and affect those with diabetes. Oregano can cause allergic reactions in people who react to basil, mint, lavender and the other members of the Lamiaceae family. Up to 4 drops, 4 times daily, can be diluted in water and taken orally for no more than 10 days in a row. Why 10 days only? Overuse can kill beneficial gut bacteria or become toxic to the liver. When using oregano essential oil topically, 1 part oregano oil to 3 parts carrier oil (such as olive, castor, or coconut) is advised. Are there exceptions when one can take oregano oil for a longer duration? In my opinion, yes, there can be exceptions. According to personal experience, overuse of antibiotics as a child obliterated my gut flora. As a result, pathogens overran my body. Specifically one very hard-to-kill pathogen: Blastocystis hominis. So, in cases such as this, maintaining one's current good gut flora is not an area for concern. Obliterating an invasive species, however, is. The use of oregano oil for up to 6 weeks may be recommended by a practitioner, in addition to lifelong use of probiotics. Daily dosage under these circumstances is based on the potency of the pill, with 100 and 2000 milligrams being the range. Finding an excellent practitioner who can help select the right supplement is very helpful! Although internal use is not recommended long-term, oregano oil may be incorporated in other ways. Diffuse it with an EO diffuser, or add it to mouthwash, or make your own lotion! Combine 4 drops of oregano oil with 10 drops of lemon oil and a quarter-cup of white vinegar, and then add to a bucket of water. Use this mixture to wipe and clean surfaces. Add one sip of water to your mouth and hold it in the back of your throat by tipping your head back. Open your mouth and squeeze 2 to 3 drops of the oil into the water. Swallow. Follow with a few gulps of fresh water. Put the oil into a gelatin capsule just before consuming. Mix 1 to 2 drops with a 1/4 teaspoon of carrier oil, such as olive or coconut. Put the mixture under your tongue and hold it there for a few minutes. Spit it out and rinse your mouth. Do this 4 or more times daily. In all of these scenarios, avoid getting the pure oil directly on your lips or skin. It is spicy and creates a burning sensation. Do you use oregano oil in your healthcare routine? What's your favorite use for this multi-purpose powerful herb? Natures Sunshine products is an excellent source of high quality oils as well. We have been using oregano oil for years, even for our kids. Tried it under the tongue once, and it was torturous! Since then, we’ve used it in capsule form only – up to 5 drops at the first sign of a virus. Typically, the signs of any sickness are completely gone by the next day with only one dose. Sometimes another dose is needed, but if taken early enough it’s a very powerful antiviral and antibacterial, and we wouldn’t want to be without it. Thanks for the very detailed article! Thanks for sharing your experiences with it. Yes, so powerful, so helpful! I appreciate that you distinguish between Oil of Oregano and Oregano Essential Oil at the beginning of your post, but then as you give uses for it as the article goes on there are places where you say “the oil” or “oregano oil”. Which are you referencing in each case? The diluted or the pure eo? Thanks! Amy, I think I’d need you to point to an exact sentence that is unclear, if you don’t mind. 🙂 In all the examples I see, the article shares what ratio to use- essential oil to carrier oil based on what’s being treated. I’d love to clarify further, though, if you show me where it’s needed. Thanks! I have used oregano gelatin caplets from the health food store for years as a substitute for antibiotics, especially for bladder infections, along with other supplements. I have one now that works well for me. I also give them to my family on rare occasions. It’s lots cheaper to try oregano before going to an MD to get antibiotics if the need arises. I did use oregano when pregnant and/or nursing b/c it seemed better than the medical alternative, and I didn’t have the information you have here. Fortunately, there weren’t any ill effects. It’s so true that oregano oil is more cost effective than antibiotics! And it’s safer as well. Also, antibiotics are only anti-bacterial whereas oregano oil will additionally address viruses and other forms of infection when the cause is unknown. Thanks for your comments! It seems to work better if you add a carrier oil when putting oregano in a capsule. I always shake each one a bit so the two oils will mix. I have read that if you don’t do that, that too concentrated amount may adhere to areas of the GI tract or stomach and that is not necessarily good…..that goes for any oil, but especially a hot oil. I had noticed that when I would burp, it would cause a burning sensation deep in my esophagus. Have dealt with acid reflux for many years and this was part of the problem. Now that I have started mixing a carrier oil, I don’t experience the burning sensation. Thank you for your insights! Great addition. Hello there, in Bulgaria we use Organic Oil of Oregano with minimum 80% Carvacrol. Me and my wife take 4 drops under the tongue on an empty stomach every morning for 1 month. Then take a break. Also we take it every time we have sore throat. Thank you, Lens! Great to hear how others use it safely and effectively. I do not know where to begin…oregano essential should only be taken internally if under the care of a QUALIFIED aromatherapist that has extensive knowledge of aromatic medicine. Anymore that a drop is way too much considering it can damage mucous membranes in the stomach. Water does NOT dilute essential oils as they float on top of the water and can damage the delicate lining of the digestive tract. Please contact a qualified aromatherapist before walking along this dangerous path by yourself. Essential oils are wonderful but can also be very dangerous. Please do not use oregano essential oil on your children. You can cause severe permanent damage. Thanks for the info. I have heard of this for eliminating pin worms, but I wasn’t sure about giving it to an 18 month child. Any advice? I’ve been treating the rest of our family with diatomaceous earth, but am nervous about giving it to the baby. Sorry I got this so late. I would not use oregano oil with such a young child. You mentioned that it can be used on MRSA. What are the directions on using it for a staph infection or for MRSA. Do you just take it internally or can you also apply around the infection. I just finished a course of antibiotics as I had a staph infection. I tried poultices and such before I went in, although I wouldn’t have tried oregano as I am pregnant. I need to find info for future reference as this is my second staph infection in a years time, and my husband has had two as well. :( I’m def on probiotics! Hi Crystal, I’m afraid I’m getting your question quite late. I hope you have healing by now, and love that you’re careful to keep probiotics in your diet regularly. For MRSA and staph, I would definitely recommend working with a practitioner. Functional and naturopathic physicians can often offer new insights. Can oregano oil be used for cooking? Hi Shelley, no, you would not want to. It is VERY spicy, too concentrated. Good question. Yes, when I cook rice I put a drop or two of 100% organic oregano oil and you’ll love the taste of your rice. Very informative article! Oregano oil is the ultimate antibiotic. Oregano is a powerful herb with unique healing properties. It is a great natural alternative treatment for many skin problems. Some oil of oregano products are the whole herb oregano soaked in an oil medium. Whereas others are oregano EO. And I have seen a combination of both. So it is good to know what form you are dealing with. I also need to know how long of a break to take between cycles. I would like to use as a Preventative during flu season for my husband, 8 year old daughter and myself but have read that 10 days is the limit of daily usage. Please advise when it is safe to resume daily dosage after the 10 day regimen.!!!!!! I use the Oregano oil for 22 days 12 drops per day.Should I break dow – Pause with it.I( use it for Candida in intestine. 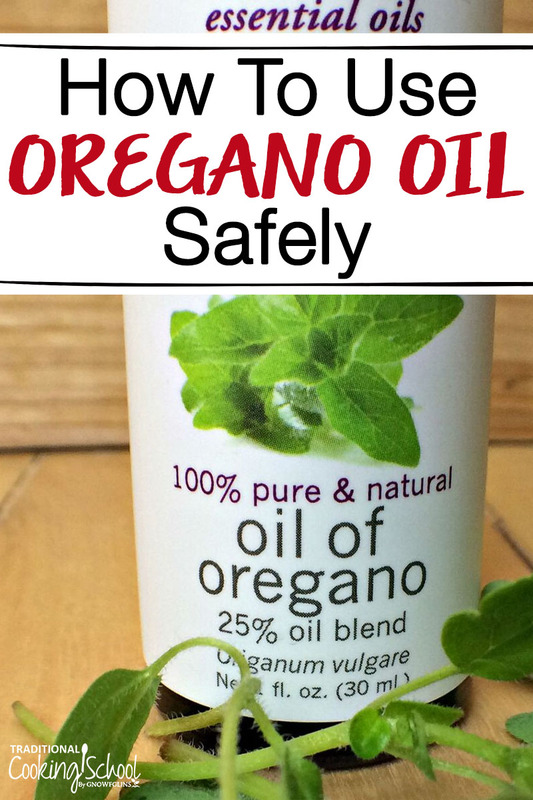 I have seen a lot of reports that you should only take oil of oregano for up to 10 days. I am on my tenth day of oil of oregano doses for SIBO. How long should i wait after that 10th day before taking oil of oregano again? Oregano oil has so many uses for skin and health care. It works as an effective remedy to get rid of many skin problems. This oil is the best solution for daily skin care routine. Thanks for sharing. I have been putting organic on skin spots for a couple of weeks. They are getting quite ugly and it seems like a slow process. I administer it 3 times daily. Should I continue? Where I live is the area where Hurricane Katrina hit many of us stayed due to being stuck here and many of us also experienced an illness that we could not get treated. Later finding out we had all been exposed to black mold and it was in a respiratory system most of us used oregano oil under the tongue twice a day for 6 weeks I never had to pay a doctor. I have used 3 drops Oil of Oregano with 2 drops of Coconut oil in a vegetable gelatin capsule 3 x a day for a week to kill pneumonia with awesome results!! When you can’t hear out of your ears, what can you use to open them up? My daughters ears have gotten a little better…but everything is muffled. Thank you.